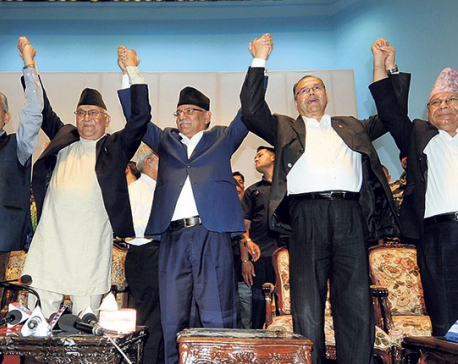 KATHMANDU, Feb 13: Naya Shakti Party led by former Prime Minister Baburam Bhattarai and the Tharuhat Tarai Party Nepal (Democratic) led by lawmaker Ganga Chaudhary have announced their unification on Monday. Since the unified party has maintained the name Naya Shakti, newly formed party by ex-Maoist leader Bhattarai has now secured its presence in the Parliament. As lawmaker Chaudhary earlier had voted for electing Pushpa Kamal Dahal as Prime Minister, the Naya Shakti has turned into a party in ruling coalition until and unless Chaudhary withdraws the support. 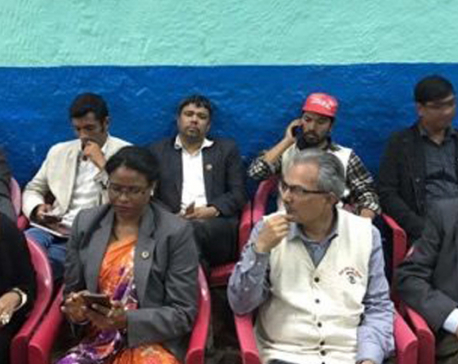 During the unification announcement program, lawmaker Chaudhary said that the unification happened as Bhattarai and his party expressed commitment to raise issues related to Tharu community in the future.